Insanely creative on a budget. 1. Use dollar-store paint trays as cupcake-decorating plates. 2. Turn a dollar-store pencil cup into something beautiful. 3. Give your laptop an upgrade by covering it with wood-grain contact paper from the dollar store. 4. Mount dollar-store ice cube trays to the wall to display Shopkins or other small toys in style. Use Scotch indoor mounting tape to affix the trays to the wall. This cool idea comes via thegrantgirl. 5. Cool dorm decoration alert: Use ice-pop sticks to display fake succulents in impressive fashion. 6. Use plastic wineglasses to serve cupcakes (and a generous helping of M&M's). 7. Rubber gloves — and a few other items found at the dollar store — can be made into fun finger puppets. Kids will have as much fun making these as they'll have playing with them. Find the tutorial at Raising Memories. 8. Give sandals a tropical feel by garnishing them with balloons. 9. Have a lot of cats? A dollar-store vegetable tray makes a purrfect feeding station. 10. Transform a dollar-store hula hoop into a stunning chandelier. 11. You can also make an unforgettable chandelier using dollar-store clothespins plus wire fencing or a tomato cage. 12. Paint a round placemat to make a cool and colorful decoration. 13. Use a small dollar-store canvas to turn a favorite old T-shirt into wall art. 14. Paint plain cork coasters with nail polish to make them a whole lot more fun. These are terrific for a game room. Via Phirho. 15. Add a pop of color to your bathroom by filling soap dispensers with glass gems and faux flowers. 16. DIY this colorful, Mexican-inspired decoration using a reed wreath and tissue paper. Via Crafty Lady Abby. Learn how to make Mexican tissue flowers here. 17. 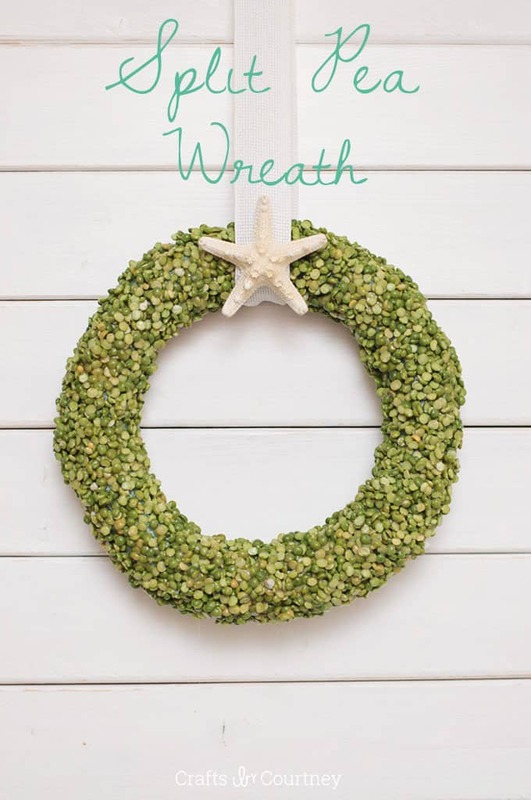 You can also make this impressive-looking wreath with just a few dollars. 18. Wow your kids or guests by making a s'mores station out of dollar-store cake pans and candlesticks. 19. Light up an outdoor walkway by sticking solar lights into cups filled with rocks. 20. Personalize a dollar-store phone case by decorating it with jewelry and Mod Podge (also found at the dollar store, btw). This is a Japanese trend called Decoden. With a little practice you can make almost anything look amazing. Watch a tutorial here. 21. Lastly, throw an epic Beauty and the Beast party. Most of the decorations — detailed on Life is a Party — can be made with goodies from the dollar store. Dollar store for the win!